Since its formation nearly five billion years ago, our planet has been the sole living world in a vast and silent universe. But over the past two decades, astronomers have discovered thousands of “exoplanets,” including some that could be similar to our own world, and the pace of discovery is accelerating. 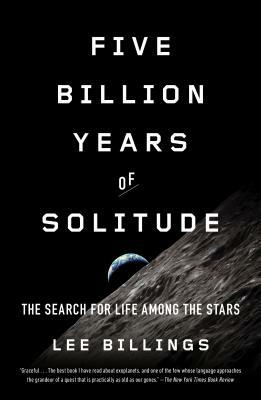 In a fascinating account of this unfolding revolution, Lee Billings draws on interviews with the world’s top experts in the search for life beyond earth. He reveals how the search for exoplanets is not only a scientific challenge, but also a reflection of our culture’s timeless hopes, dreams, and fears. Lee Billings is a science journalist whose work has appeared in Nature, New Scientist, Popular Mechanics, and Scientific American. He lives in New York. “Graceful... the best book I have read about exoplanets, and one of the few whose language approaches the grandeur of a quest that is practically as old as our genes." "The search for Earth-like worlds orbiting distant stars is just a step in the age-old quest to learn whether or not we are alone in the universe. In his compelling, wide-ranging survey, Billings steps back to look at this broader picture, largely through richly textured portraits of some of the giants of the field...[an] extraordinary tale of scientific discovery."